Offer valid 3/01/2019 - 4/30/2019. Available on select in stock tires. OHTSU and Kelly tires are excluded. See dealer for details. Only one coupon can be used per visit. See dealer for details. 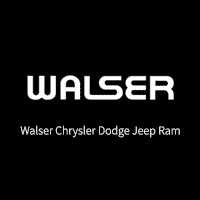 Only valid at Walser Chrysler Jeep Dodge Ram. Only one coupon can be used per visit. Restrictions apply, see dealer for details. Only one service coupon can be used per service visit. Save 10% when you spend $100 or more. Limit $100 in discounts. Not valid on pre-priced maintenance items, not valid towards deductibles.